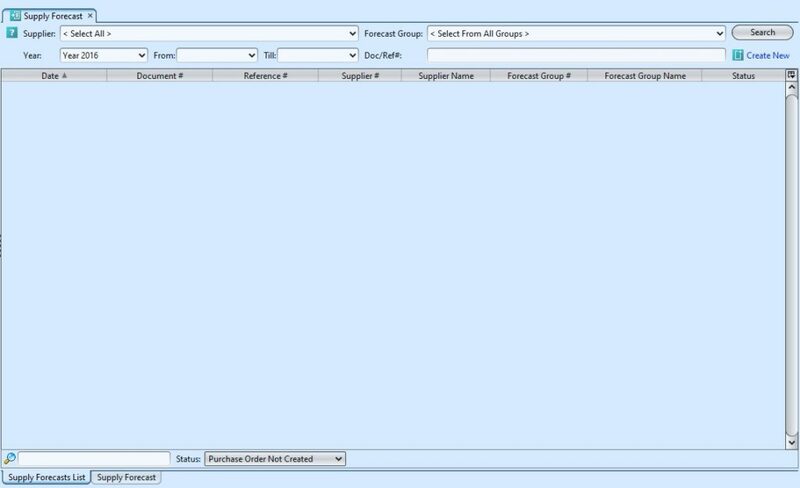 In the Supply Forecast application the user is able to view all the Forecast that was made based on the following criteria: Supplier,Forecast Group, Year, From date, Till Date and Doc/Ref#. 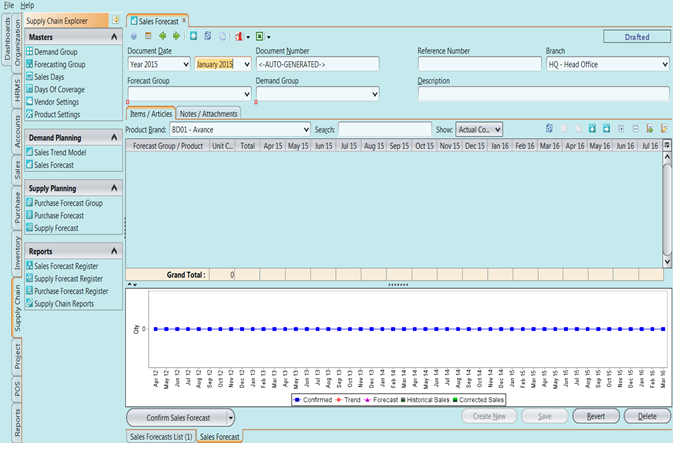 By double clicking on and of the line item the user is able to get into the detailed Supply Forecast. Once in the supply forecast the user is able to : Create New, Save , Revert and Delete a transaction record. 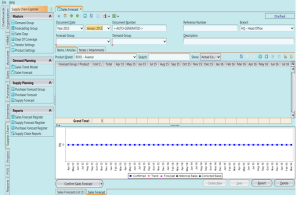 In the Supply Forecast application the user can view the details of the forcasted supply by month based on Quantity or Value and is able to Create New, Save, Revert and Delete a line item or the whole record. The Supply purchase can be entered in Quantity value or Dollar amount value divided by the forecasted months, which aids in the merchandisers/buyers planing process. The Supply Forecast also have a embeded dashboard to give a graphical view of the supply process. Their is also an Import and Export of the contents of the table, the Cost and retail prices can also be imported and exported. Their is a chart for quick overview of the forecast and also the data which displays the : Month, Opening Stock, Stock In Transit, Sales Forecast, Supply Forecast, Closing Stock and Unfulfilled Stock.